Having one’s day go downhill is usually just an expression. But when Charles*, 26, coasted down a hill on his skateboard after visiting his friend in Wappingers Falls, the steep descent sent him right into oncoming traffic — creating a horrific outcome to the afternoon. The driver whose car collided with Charles jumped out to call for help, and the Hopewell Junction resident was sent to MidHudson Regional Hospital, a member of the Westchester Medical Center Health Network (WMCHealth). With a Level II trauma center, MidHudson Regional Hospital has the capabilities to take care of these kinds of traumas, 24/7. Dr. Cho recalls that Charles had a burst fracture at one vertebra. It had shattered upon impact, with shards and fragments sent flying into the surrounding tissue. The spine was also dislocated at that same vertebra and had shifted completely to the right, across the coronal (horizontal) plane of Charles’ body. “He had no sensation or movement in his legs and no bladder or bowel control,” Dr. Cho says. With that degree of dislocation, Dr. Cho expected the strong fibrous membrane surrounding the spinal cord, known as the dura mater, to look shredded and torn apart, which would have spelled tragedy. Fortunately, Charles’ dura mater was unharmed. “To see that it was intact was encouraging,” says Dr. Cho. “The other remarkable thing about Charles’ case was that he didn’t have any associated injuries, such as a ruptured spleen or perforated bowel.” This was especially remarkable given that Charles wasn’t wearing a helmet, knee pads or any other protective equipment when the accident occurred. 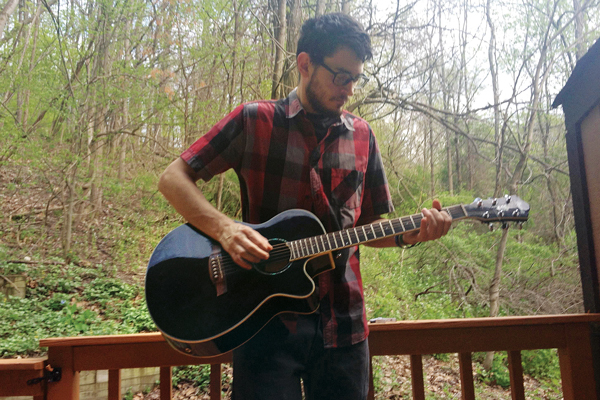 When he isn’t attending college classes, Charles enjoys playing guitar and drumming. He’s back on his feet but not on his skateboard. To alleviate the pressure caused by swelling in the spine, Dr. Cho performed a laminectomy — the removal of portions of the vertebra’s posterior arches and spinal ligaments — to decompress the lower edge of the spinal cord and the exiting nerve roots. He fused Charles’ spine together with eight screws, both above and below the fracture, along with a bolstering rod to align the spine and hold the bones together until they heal. “I didn’t know if I was ever going to walk again,” Charles says. Wheelchair-bound for six months, Charles started a regimen of intense rehab to strengthen his leg muscles, reporting to Dr. Cho every three months to assess his progress. “Considering the extent of his spinalcord injury and bone injury, the quick realignment and quick decompression of the spine made a difference in his recovery,” says Dr. Cho, also stating that while Charles’ bones will fuse together on their own, the rod will remain permanently. Skateboarding may be fun, but it also carries with it a serious risk for injury. 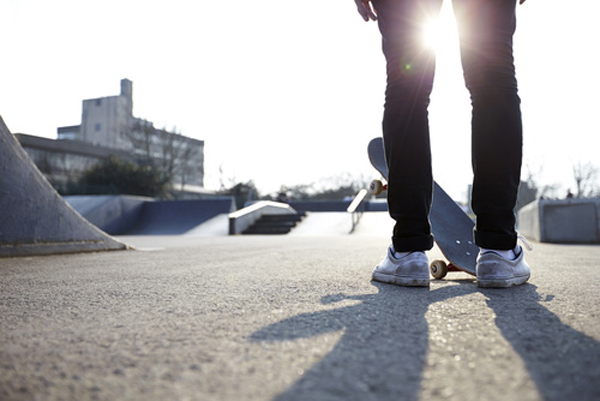 In 2011, there were more than 78,000 skateboard-related ER visits among children and adolescents (19 years old or younger) in the U.S.
About 52% of skateboard injuries involve children under age 15; of these, 85% were boys. The most common injuries are to the arms, wrists, legs, neck and trunk, and range from cuts and bruises to sprains, strains and broken bones. Concussion, and head and facial injuries, such as a broken nose or jawbone, are also common. Wrist guards, which help support the wrist and reduce the chances of breaking a bone if you fall. Knee and elbow pads, which reduce the severity of cuts and scrapes and prevent gravel burns. Closed shoes that have slipresistant soles. Goggles to keep debris out of the eyes.